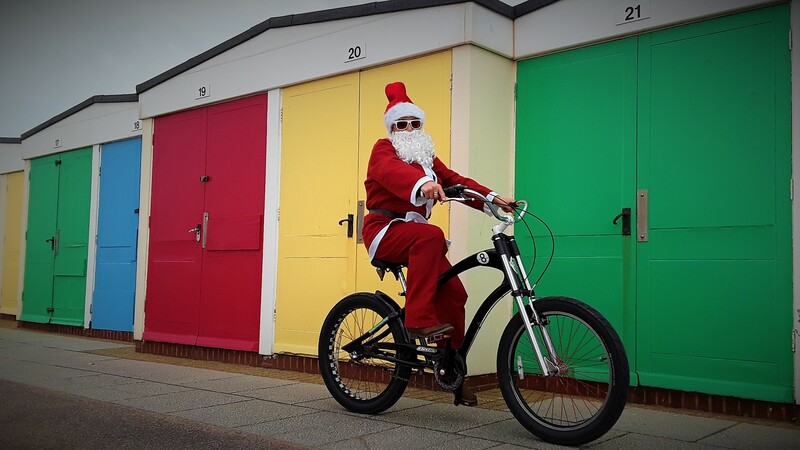 Exmouth Cycle Hire, in association with the Grapevine Brewhouse present the first Exmouth Santa Cruise on the 10th December 2017. Raising Money for Devon Wildlife Trust our event is a FREE, fun, festive cycle ride for all the family…on one condition. You dress as SANTA or in other suitably festive attire and ride a bike! We are very pleased to announce that ALL of our hire fleet will be available to ride in exchange for a donation towards our chosen charity. BOOKING ESSENTIAL. Starting at the Grapevine Brewhouse in Victoria Road at 12 noon, it is hoped a large convoy of festively dressed cyclists will pedal their way along the seafront to Orcombe Point before returning to the start point for more festive cheer, mulled wine and mince pies.